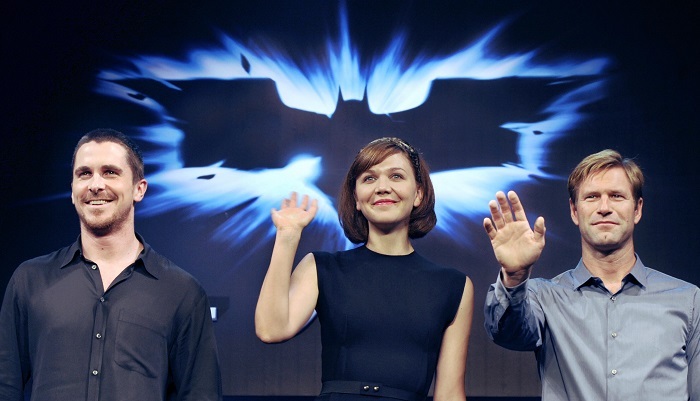 July 18 marked 10 years since the wildly successful release of The Dark Knight. The $185 million production made a record-breaking $533 million in the US and over $1 billion worldwide. It became just the fourth film to ever surpass the $1 billion mark at the worldwide box office. Even ten years later, it still places in the all-time US box office top 10. The film is thought to have changed Hollywood movies forever, with its success seeming to legitimize the genre of comic book movies. To recognize the 10th anniversary of this iconic movie, Warner Bros. Pictures has announced that the film will be re-released in select Imax theaters. Beginning on Friday, August 24, the film will return to the big screen at venues in Los Angeles, New York, San Francisco, and Toronto for a period of one week. Directed by Christopher Nolan, The Dark Knight was the first major feature film to use IMAX 70mm cameras. Four major sequences were shot in this format, including the opening bank robbery scene. Nolan wished that he could have shot the entire film in IMAX, however, the cameras have short film loads (30 seconds to two minutes) and the cost of the film was much more expensive than standard film. The Dark Knight is the second of Nolan's Batman movie trilogy, and many people consider it to be the best Batman film available. It was nominated for eight Academy Awards and won two. 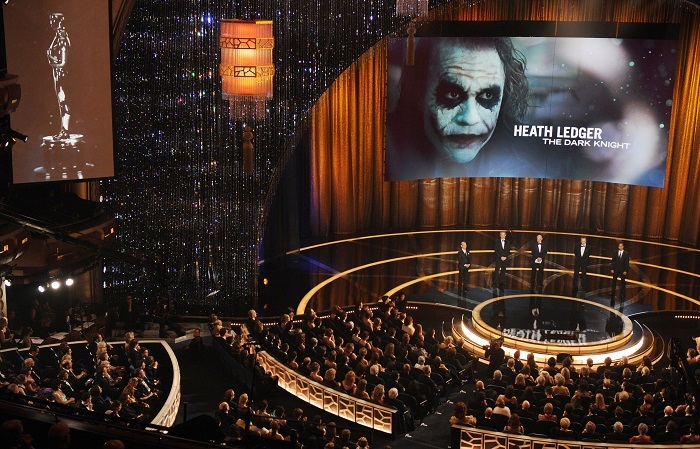 The one for Best Supporting Actor was posthumously awarded to Heath Ledger for his unforgettable performance as the Joker. On review website Rotten Tomatoes, The Dark Knight maintains a 94% approval rating. While Christian Bale as Bruce Wayne/Batman was the star, fans almost all agree that Heath Ledger as the Joker stole the show. Ledger passed away at the age of 28 from an accidental prescription drug overdose. Filming of The Dark Knight had been completed, with his death occurring during the editing period. He was noted to have repeatedly mentioned immense difficulty with sleeping during the filming and editing period, with many rumors pointing to his performance as the Joker having a role in his death. He had locked himself in a hotel room for weeks to delve into the character's disturbed psyche. His sister, Kate Ledger, has denied the correlation. Heath Ledger's toxicology report revealed traces of oxycodone, diazepam, temazepam, alprazolam, and doxylamine in his system. The tickets are expected to sell out early, so if you want to experience the re-release on the big screen (and you should! ), it is recommended that you purchase yours as quickly as possible.